1. Add chicken breasts to bottom of crock pot. 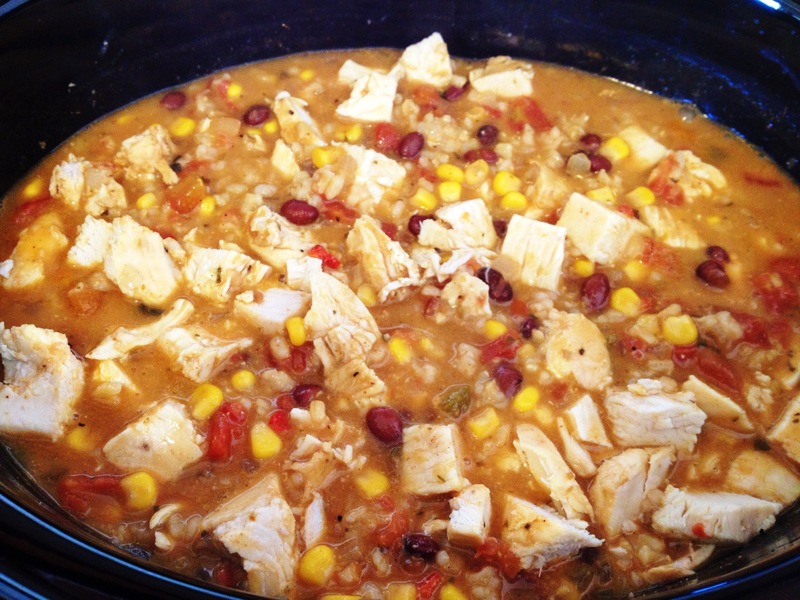 Add onion, black beans, corn, dry rice, fajita seasoning, Ro-Tel, chicken broth, nacho cheese soup, and garlic powder. Stir all ingredients together. 2. Cook on high for 4 hours (cooking times vary with each crock pot). Remove chicken with tongs onto plate. Cut into bite-sized pieces with knife or shred with two forks. Return chicken to crock pot and allow to cook for an additional 20 minutes. 3. 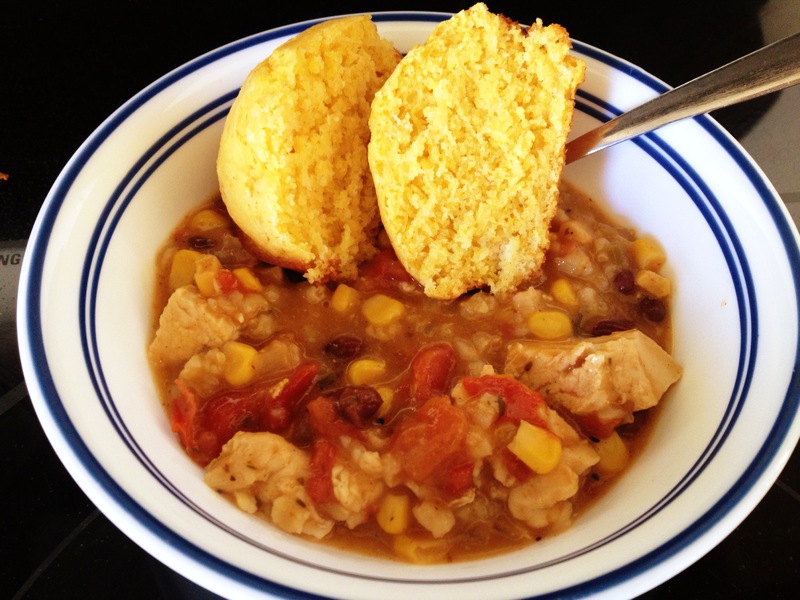 Serve chowder over sweet cornbread muffins in a bowl.